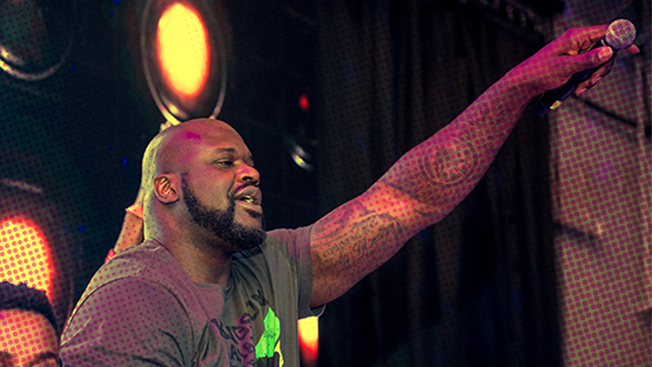 Shaquille O'Neal has done a lot of driving in his career—mostly to the net. But the basketball great-turned broadcaster, pitchman, DJ and so much more, is now lending his voice to Waze, the community-based navigation app from Google. Starting today Waze users will be able to hear the sweet sound of Shaq's voice guiding them through traffic and around roadblocks with helpful tips including "Don't cause a Shaq-cident." The Waze Shaqtivation (see what we did there?) is part of TNT's coverage of the NBA playoffs. As the network gears up for the playoffs, TNT plans special episodes of Inside the NBA with host Ernie Johnson along with analysts Charles Barkley, Kenny Smith and O'Neal. Shaq is one of many celebrities to lend their voice to Waze. Stephen Colbert, Arnold Schwarzenegger, Terry Crews, Kevin Hart, and the voice of God himself, Morgan Freeman, have all voiced for Waze. "Accident ahead. I'll get a line to emergency command," a reassuring Freeman says.